I can tell you for sure that, even if we knew about the multi-verse when I was seven, I probably would have been too busy playing with my Barbies to have paid attention to it. J-man on the other hand is all over that business. And I’m like…How do I even keep up? Check out Jonathan Gerlach’s article here! How do we, then make STEM a part of our everyday lives? Here are a few resources that we have used and some that I plan to use to encourage J-Man’s continued love of all things STEM. Science is Real by They Might Be Giants was on constant rotation. We ALL know these songs word for word in this house! We loved They Might Be Giants anyway, but their series of songs about science, are some of our favorites. These are great for little, little kids and will become earworms for mom and dad. Legos are not just little plastic instruments of torture for your feet to find in the middle of the night. They are building blocks (I can’t believe I went there) of engineering. The technics series uses a combination of simple machines to create elaborate constructions. These builds are gateways to preparing for Lego Robotics. Kids all over the nation compete in teams to create robots to complete different tasks. 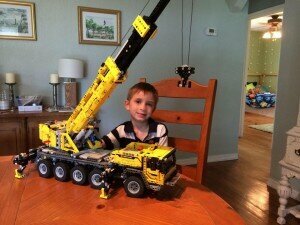 J-Man worked for a week on this technic mobile crane. This incredibly complicated construction makes extensive use of gears to raise and lower the crane. Check out these Lego homeschool resources here, designed to integrate the love of building with developing writing skills. 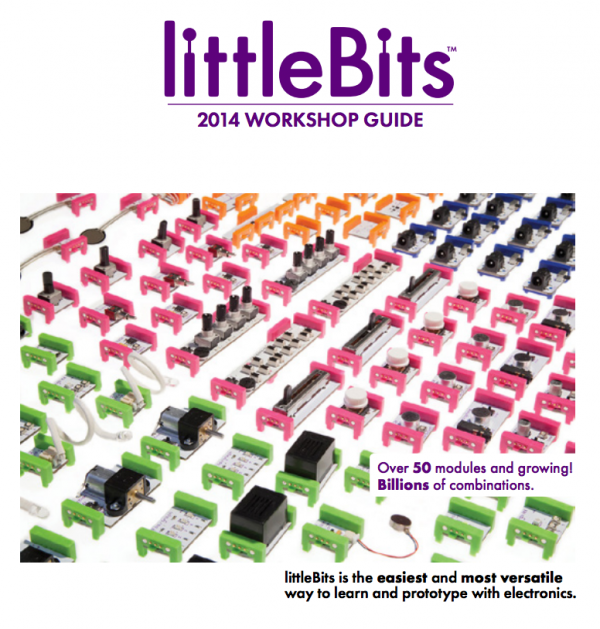 Along the same lines of Legos, Little Bits are interchangeable electronic pieces designed to make engineering machines possible without having to wire and weld pieces together. These are awesome to teach some basic mechanics. Check out these resources for educators here. J-Man loves Minutephysics videos to teach some really big concepts. Their easy to understand analogies and the novelty of their drawings fascinate our little buddy. This is his take on what he learned about how the sun works. He doesn’t quite get the whole thing yet, but he is getting there. Lastly, and this is not so much a resource as an idea, we have been fascinated by the images from the hubble telescope. This week, we will be doing some watercolors that are inspired by some of the beautiful nebula that we had never seen when I was a child. 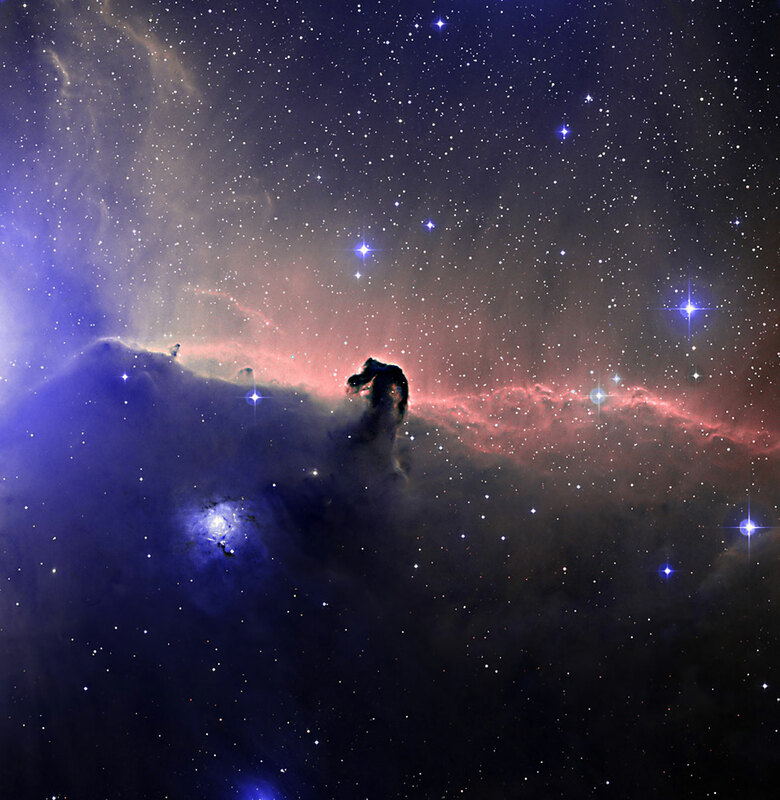 J-Man’s favorite is the Horsehead Nebula because it looks like a knight chess piece. We will post the lesson plan and the finished results later in the week. What are you doing to encourage your child experiences STEM? What resources have you found?